3. 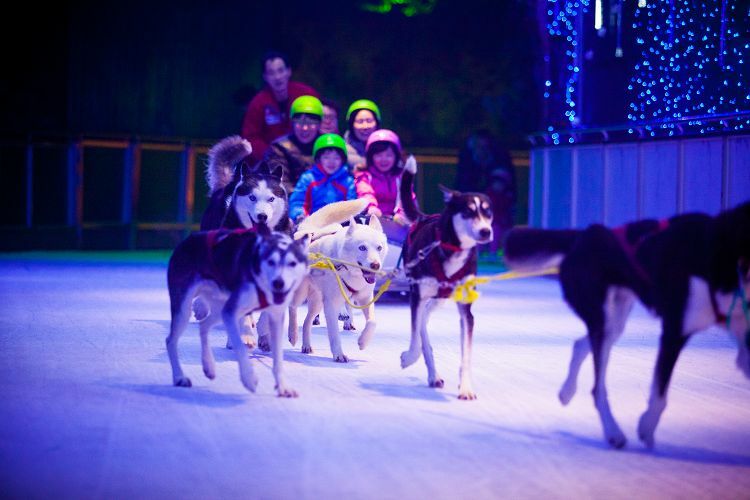 Try Mammoth snow sled and Dog sled that can only be seen in OneMount Snow Park! ※ Exclusions are available for purchase on site. 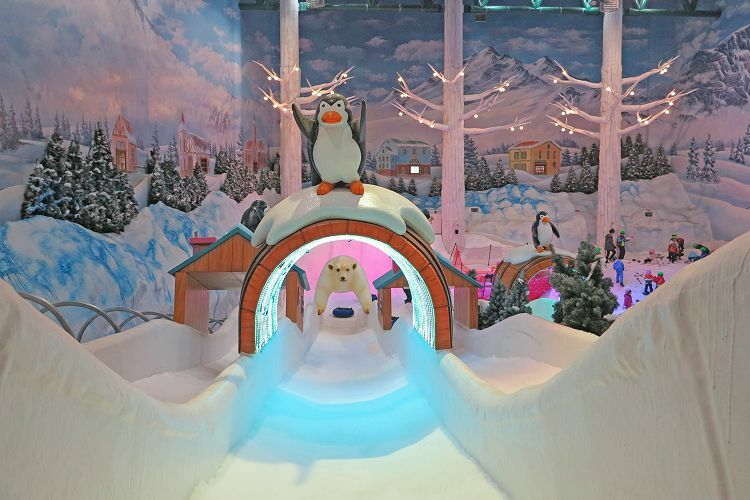 OneMount Snow Park is Korea’s first indoor park theming Winter where you can enjoy various entertainment programs on snow and ice. Also, Aurora and Ice Show in an ice fairytale village can be seen in the place. 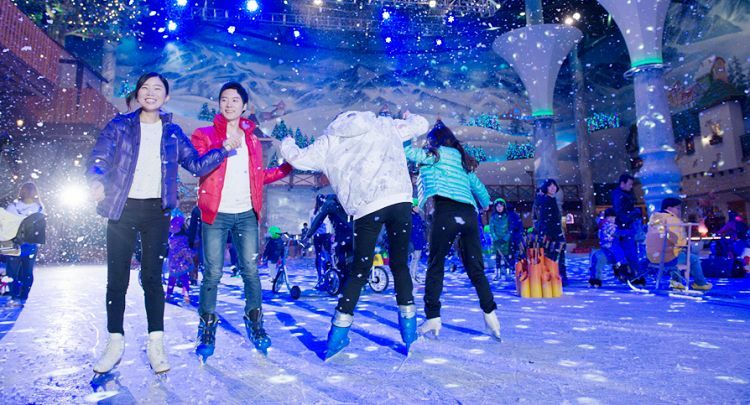 Go visit OneMount Snow Park, a very amusing place for both Korean and foreign visitors! 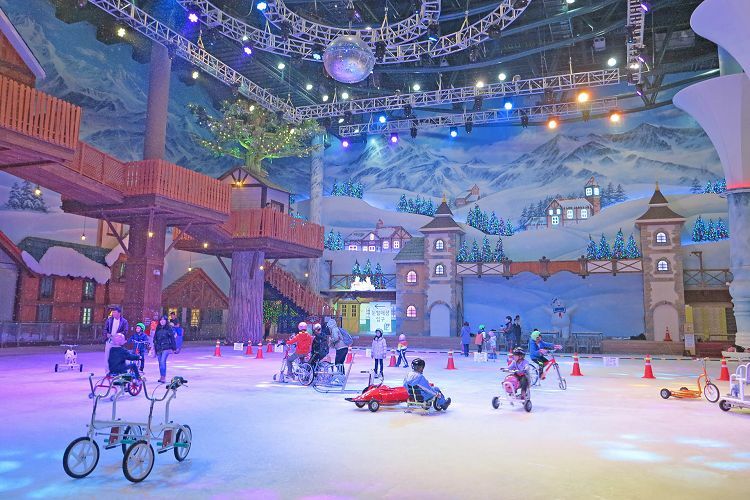 • You can enjoy both skating and slide riding at once in Snow Park! You can ride on a dog sled, drew by cute and kind dogs. Being one of the popular experiences at OneMount, you can meet and interact with dogs! There is no coercion for them to draw the sled, but only the interactions with each other and joy of running on the snow. • Check out the Snow Park for more details! 3. Move to the second floor by escalator. 4. Present the voucher at the Water Park Information Desk and get an actual ticket. 5. Enter at the Snow Park gate on the other side. 1. Please prepare warm clothes, gloves, shoes, and a helmet! 2. Food and matte are prohibited inside the park. 3. Business hours can be adjusted depending on the season and event conditions. 5. Animals will take a rest after 1 time ride and begin again, for Animal sled. 6. Animal sled has a limited capacity of people each time of ride (50 people). 7. Please wait in the waiting area 20 minutes before the animal sled time! 8. Re-entry is available due do cold weather or restaurant use. In this case, please inform the staff at the ticket office! Q. What is the standard number of people for dog sled? A. For a small number of passengers, the dog sled operates when at least 3 ~ 4 people are gathered. The standard number of people are 4 ~ 8 children / 3 ~ 6 adults on board. The boarding time is about 1 minute. Q. Is there an outdoor ice rink? A. Yes. However, you have to buy the outdoor ice rink entrance ticket separately from this ticket. Q. Can I ride Mammoth sled with the dog sled ticket? A. No, you may purchase the ticket for Mammoth sled if you want to ride it. Q. Are there any safe deposit boxes? A. Yes. Safe deposit boxesare charged facility, however.